How ratings of Ukrainian presidential candidates changed? Presidential and parliamentary elections in Ukraine will be held only in 2019, but candidates are already preparing for them with might and main. According to the calculations of experts, in the presidential campaign, the finish of which is scheduled for March 2019, will take part up to 20 people, among whom there are traditionally a large number of so-called technical candidates. So far, according to sources of 112.ua in the Presidential Administration, according to a poll conducted in October by Presidential Administration’s order, the main contenders for the number one seat in the country are Yulia Tymoshenko and Petro Poroshenko. But if the elections to the parliament were held next Sunday, the country could get an updated parliamentary coalition. If the presidential elections were held in October, then, by good tradition, the country would expect two rounds of elections. 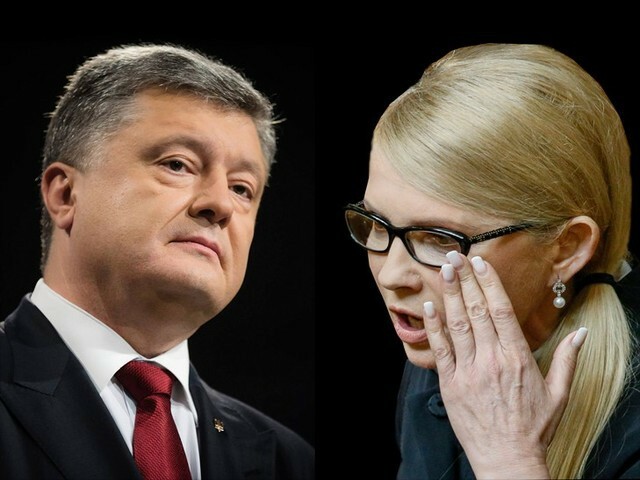 And in the final of the campaign, according to the sociologists, ex-Prime Minister Yulia Tymoshenko, who has already officially announced participation in the presidential elections, and the current president of Ukraine Petro Poroshenko would meet. So, according to internal sociology, if the first round of presidential elections was held in the second half of October, Tymoshenko would receive 22% of the vote. Compared to the summer, she lost about 2%. The reason for this, among other things, is her support of "MikhoMaidan" (protests under the parliament with the participation of Mikheil Saakashvili). The current head of state would be supported of 17% of Ukrainians who came to the polling stations. He, unlike Tymoshenko, has significantly strengthened his position, adding about 8 percent compared to the summer. Sociologists associate the head of state's popularity with campaigns to raise pensions and build (repair) roads. The last, according to sources of 112.ua, will become one of the elements of the strategy for re-election of Poroshenko for a second term. It is worth noting that the poll was conducted before the publication of a new investigative journalism, in which Poroshenko was again suspected of having links with offshore companies. Former Georgian President Mikheil Saakashvili, although he does not have the right to run, but very quickly loses popularity. Ukrainian sociologists also measured his rating. Yuri Boyko from the "Opposition bloc" also loses his position on the presidential race. Thus, according to a poll commissioned by the Presidential Administration, the leader of the parliamentary faction, as of October 2017, can count only on the support of about 8% of respondents. Not far from him is the leader of the faction of the Radical Party, Oleg Lyashko. However, for the latter two, the likely participation in the presidential race rather looks like a preparatory stage before the autumn parliamentary elections. It is interesting that the frontman of the Okean Elzy band Svyatoslav Vakarchuk, who in the media has already been named a likely participant in the race (the singer himself refuses this, - 112.ua), can now count on the votes of more than 10% of respondents. At the same time, the interlocutors note that Vakarchuk has the highest growth potential among all survey participants. Despite the "garbage scandal," in the top five, according to the poll, there is also the mayor of Lviv, Andriy Sadovui, who is supported by about 12% of respondents. Parliamentary ratings have traditionally been a reflection of the presidential ratings and show that there is no need to radically update the highest legislative body. According to 112.ua sources in the coalition factions, the October poll conducted at the request of the Presidential Administration testifies that in the event of elections to the Verkhovna Rada on the next Sunday, the party "Batkivshchyna" would be first the party lists, having the support of 23% of voters . As in the presidential rating, the silver medal would go to the Bloc of Petro Poroshenko, which, as of October 2017, will be supported by about 17% of Ukrainians. The BPP has recently added a few percent. The third place is practically shared by the parties "Samopomich", the Radical Party and the "Opposition Bloc". The difference between them is within the limits of sociological error. Mikheil Saakashvili’s party preserves the chances of passing to the parliament. However, according to 112.ua sources, according to the poll, the popularity of Saakashvili's party is declining. Although the interlocutors admit that a new wave of protests is yet to come, which means that the situation may change. But the BPP partner in coalition, the Narodnyi Front party, would not have got into the next convocation of parliament on party lists, if the parliamentary elections were held next Sunday. However, on the sidelines of the parliament, the idea of changing the signboards of "front-line parties" is discussed, and until October 2019, there are two years to correct the mistakes. Do not forget that in 2014 Narodnyi Front got into the Rada after only a couple of months of work in the information space.